In this lecture I’ll provide a brief overview of the history of Chinese cinema, followed by a more detailed look at major works of the last thirty years, the industry which produced them and the backdrop of the China’s rapid cultural and socio-economic development, finishing with a screening as an example of not only the maturing of new film practices, and the representation of China’s social changes, but also how China’s older cinematic genres have been adapted. For the modern audience. 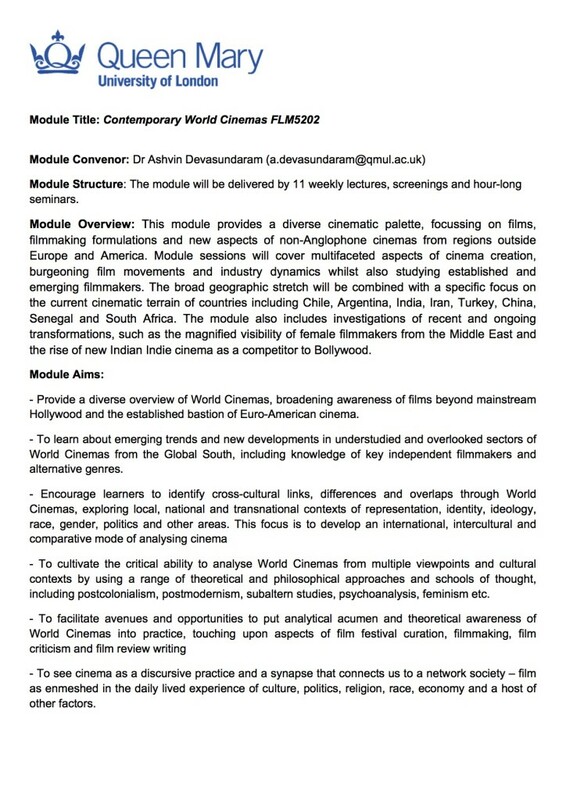 List of films mentioned and discussed are below the module flyer. Here’s the list of films mentioned and discussed during the lecture on Chinese cinema, mainland directors’ names in traditional Chinese order of surname first. “Light for A Thousand Families”, Shen Fu, 1948.